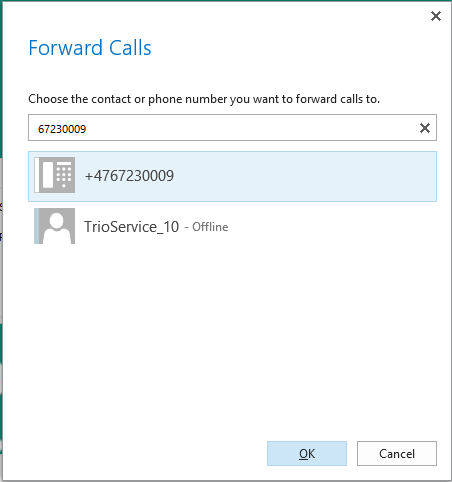 To have S4B forward calls to Trio when you are on vaction etc. you have to add the number manually. 1. Open S4B. 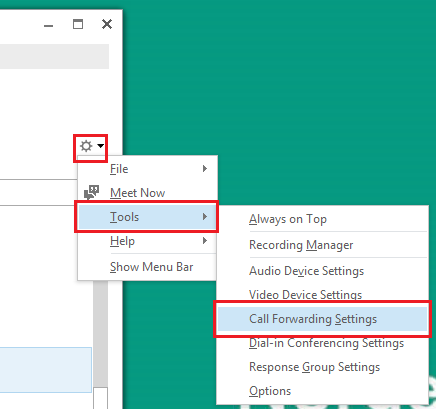 Click the Settings Wheel, then “Tools” then “Call Forwarding Settings”. 3. In the top field choose “New Number or Contact”. 4. Type in 67230009 or choose +4767230009 from the list below and hit “Ok”. 5. You can decide how many seconds it should ring, 25 seconds is ok. Hit “Ok”. 6. You can now see the new settings. Hit “Ok” and you are done. 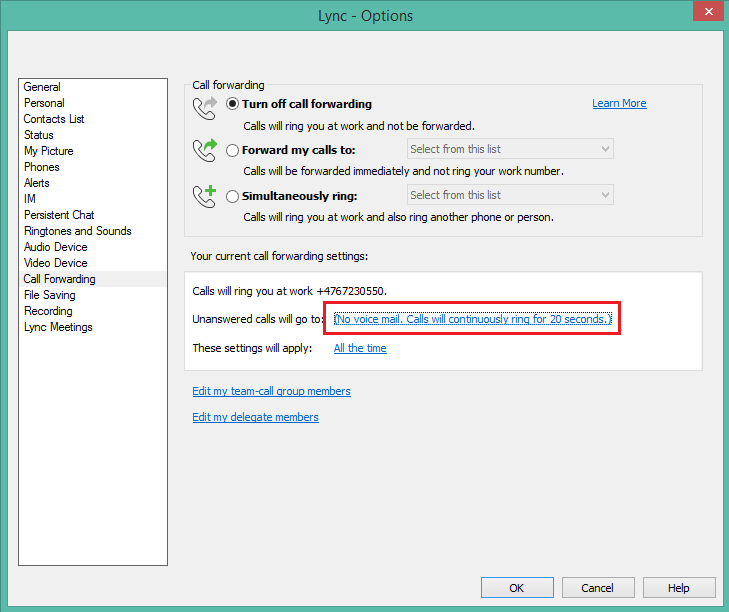 This entry was posted in IT-documentation and tagged Employee, Lync, Skype for Business, Telephone, Trio on June 22, 2015 by Anders-Budde erichsen.